Cooks Source, the tiny magazine that set the internet aflame by stealing a writer's work and then haughtily brushing off her protests, has finally—belatedly!—issued an apology. Of sorts. We have cancelled our Facebook page on Thursday, November 4th, 2010 at 6:00PM. It has since been since been hacked by unknown parties and now someone else unknown to us has control of it. Their inclusion of Cooks Source issues and photos is used without our knowledge or consent. Please know that none of the statements made by either Cooks Source or Judith Griggs were made by either our staff or her. We do not, and never have had a Twitter page, so what is attributed as our presence or our statements have nothing to do with Cooks Source or Judith Griggs. 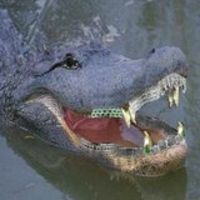 We also cancelled our website on the above date, as our advertisers were listed therein, and with the harassment that has taken place on Facebook, we felt was unsafe for them. Last month an article, "American as Apple Pie — Isn't," was placed in error in Cooks Source, without the approval of the writer, Monica Gaudio. We sincerely wish to apologize to her for this error, it was an oversight of a small, overworked staff. We have made a donation at her request, to her chosen institution, the Columbia School of Journalism. In addition, a donation to the Western New England Food Bank, is being made in her name. It should be noted that Monica was given a clear credit for using her article within the publication, and has been paid in the way that she has requested to be paid. Apology granted! Good for them. This issue has made certain changes here at Cooks Source. Starting with this month, we will now list all sources. Also we now request that all the articles and informational pieces will have been made with written consent of the writers, the book publishers and/or their agents or distributors, chefs and business owners. All submission authors and chefs and cooks will have emailed, and/or signed a release form for this material to Cooks Source and as such will have approved its final inclusion. Email submissions are considered consent, with a verbal/written follow-up. Recipes created in the Cooks Source Kitchen are owned by Cooks Source and as such approval is given for chefs and cooks in our area to use them. Artwork used is created by our staff, or is royalty-free or purchased "clip-art." Considering the fact that their earlier editorial policy was simply to take anything off the internet and put it right in their magazine, this portion seems a bit...slippery. To say this has hurt our business is an understatement. But worse, it is harming the very people we are here to assist. 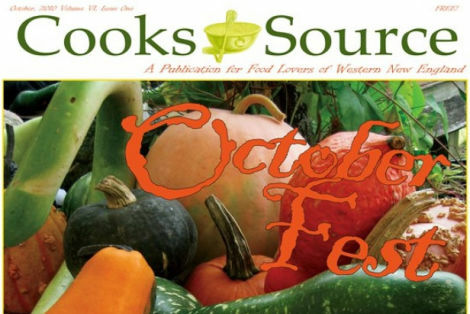 Cooks Source's is a small, free, local food newspaper-type magazine (called 'magazine' because it doesn't generally include what is known as 'news,') whose mission statement is to assist small businesses and farms in our area and help readers learn about sustainable food issues. We promote small businesses and farms in our area, offer recipes because our readers request them, and because we are offered cookbooks and excerpts from distributors, publicists, agents and authors, non-profits, ag organizations, chefs and home cooks so as to help them promote their works. Cooks Source is so named because it reports on food sources: the farms, the bakers, the chefs and the foodie producers and purveyors— to the home and professional cooks and chefs in our area. The misuse of Facebook discussed above also applies to Ms. Gaudio: she did what she felt was the right thing, and doesn't deserve this kind of treatment, either. Regardless of what has been said, we liked her article very much.